Create web-based, data-driven business applications - primarily for the health care industry. Consulting on information technology services relating to electronic medical records. Scientific writing and research on genetic genealogy combining geographical data with DNA and traditional genealogy sources. As a boy in the 1970s I was inspired by watching Alex Haley's television series, "Roots". I went on to read a book on his research and was fascinated that one could comb through old records and learn things about ancestors that our parents and grandparents did not know. It seemed like a kind of magic to me. I thought, "If Alex Haley can do it, why can't I do it too?" Starting out, I have memories of exhausting every single coin available on a Sunday in a small town in Texas in order to photocopy a written family history. As I learned about my paternal Irish roots, I wanted to know how all the Larkins in the world were related. e.g. 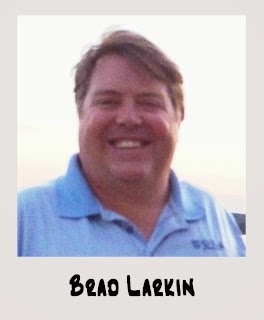 Someone says, "I knew a man named Larkin from ... is he any relation?" It kills me not to know the answer to that very simple question. So I have embarked on this expedition to identify the 'family tree' and location of all Larkin origins which leads further to identifying the tree of surnames and lineages for the entire British Isles. I consider my work part of the same mission taken on by MacFirbis, O'Donovan, MacLysaght, etc. -- we are just using new tools in this generation. I know there will be future generations continuing this work with tools that we cannot even dream of now. Thus, I consider written, scientific documentation of what we observe (and how we observe it) at this point in time to be very important. An update on modern genetic genealogy DNA findings in the context of historic Irish clan groups and the British Monarchy. The two sets may be more closely related than you think. Identification of specific DNA markers that could link you to some of these historic groups. Kinship groups covered include the Uí Néill, Airgíalla, Dál Riata, and Ulaid of Ulster; the various Gaelic kings of Connacht, Munster, Leinster and Scotland; the Norman Lords of Ireland; and the Mountbatten, Windsor, Stuart, and Plantagenet dynasties of the United Kingdom. All British Isles surnames. But many examples will be drawn from famous surnames such as O'Neil, O'Connor, Kelly, O'Brien, Kennedy, Butler, etc. The topic for discussion will be the major Irish genealogical groups from Irish Annals such as high kings, the Uí Néill, and the provincial kings of Connacht, Munster, Leinster, and Ulster as well as Norman lineages. A brief review of how much modern DNA linked to these lineages has been sampled and how consistent the DNA findings match the ancient genealogies. This presentation is well suited for those who like to connect historical figures to their genetic genealogy research. The growth of genetic genealogy has been rapid but exciting new possibilities are forecast from several major developments: 1) continued expansion of the number of markers commercially feasible to test; 2) sampling coverage to approach 100% of the genetic lineages of Ireland and the British Isles; 3) growth of reference databases with phased results and related tools. These elements in combination will one day allow an individual's raw test results to be linked to an established genetic lineage and its ancestral geography in a matter of moments. This discussion is intended for those interested in science, technology, and how genetic genealogy will develop as a field. Hi Brad. I enjoyed the presentation. My ancestral Traynor's typically belong to the Ui Maine Clade. However, virtually all of us are from Monaghan/Airgialla. Is it possible that the split between Ui Maine Kelly and Traynor happened before Maine Mor went south?